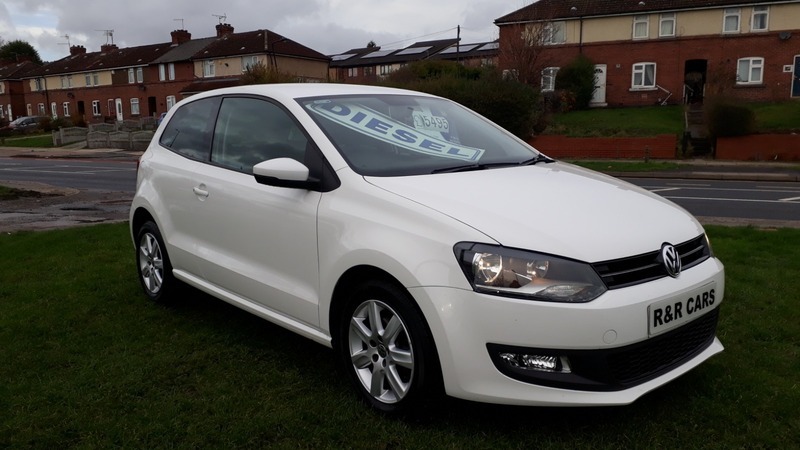 2013 Volkswagen Polo 1.2TDI Match Edition. 69,000 miles with full service history stamped at 9k, 19k, 28k, 38k, 48k, 56k and 64k. This car includes remote central locking, 2 keys, power steering, electric windows, heated electric mirrors, air conditioning, cruise control, trip computer, CD player, bluetooth phone, alloys, rear parking sensors. Own this vehicle from as little as £133 per month.